A design risk taker, a book builder and an award winning designer. 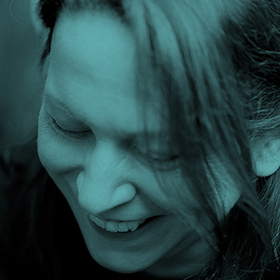 Irma Boom is one of the world’s leading graphic designers with hundreds of books on her list of works. On November 20, she will be in Stockholm to present a few of her projects and talk to Samira Bouabana and Angela Tillman Sperandio from Hall of Femmes. The evening will include a keynote presentation from Irma herself, a conversation with Hall of Femmes, some infotainment and a secret guest from the international design scene! In conjunction with the talk, the book Olafur Eliasson: Reality machines, a unique collaborative effort by Irma Boom and Olafur Eliasson, will be released. Moderna Bar is open after the event. In association with Moderna Museet & Arkitektur- och designcentrum and with support from Stockholms Stad.